I think it should be clear now how the Dilawans are contradicting themselves. 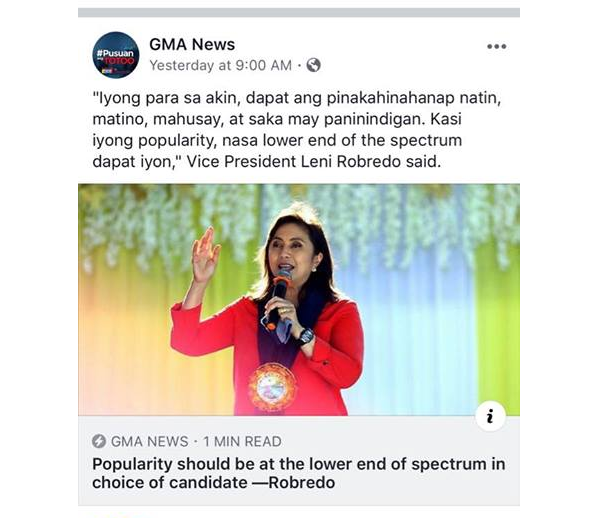 Here's how they play their game whenever selective justice is played by CHR. They would actually bring up some contradictory arguments. 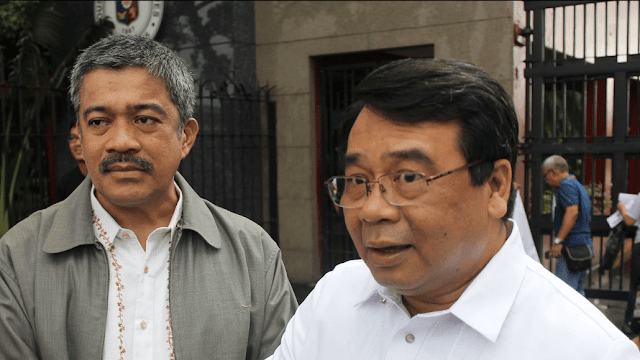 They argue that President Duterte is playing selective justice with drug lords or the recent incident where you have shabu entering from China into Davao. Yet they conveniently ignore how many drug-related offenses multiplied under Leila Dilemma's watch. 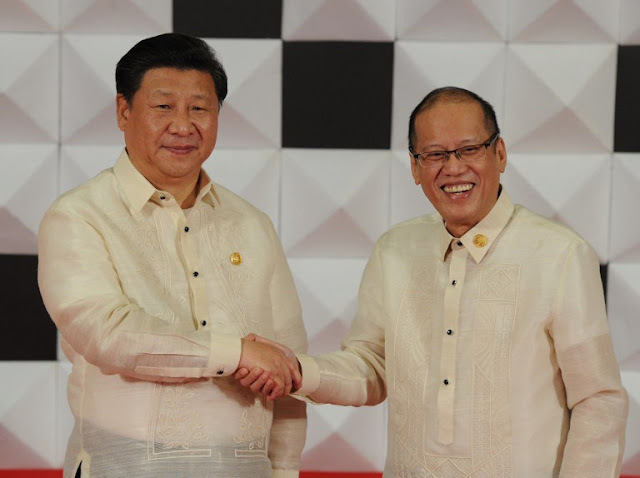 They falsely accuse the Chinese government of being the suspect of the drug import never mind China has a very strong anti-drug policy. 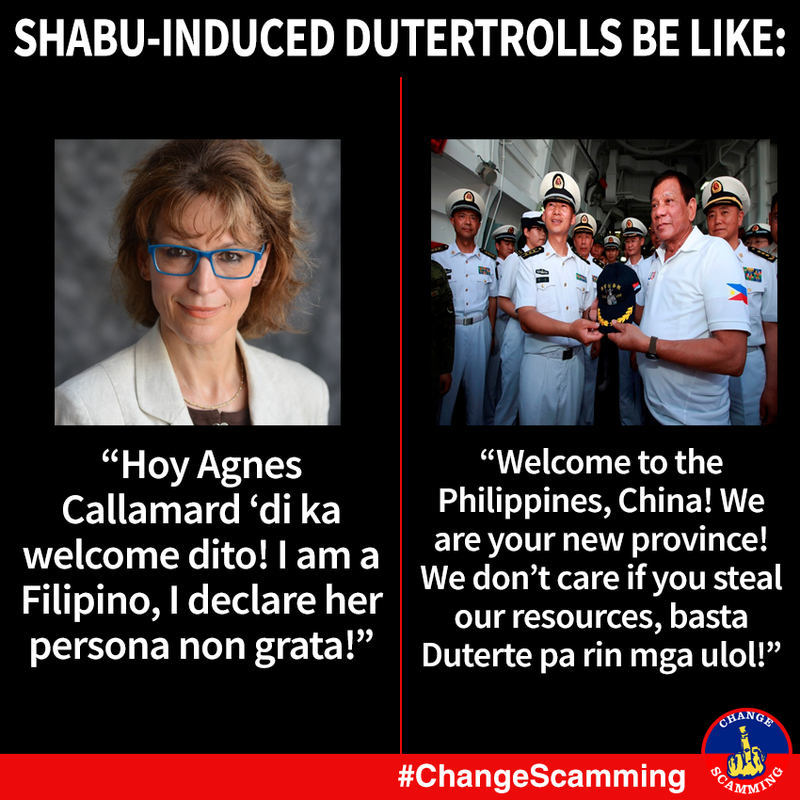 It's time to point out a new contradiction where they accuse President Duterte of coddling drug syndicates all the while they support that idiot Agnes Callamard. What's really wrong with supporting Callamard while accusing President Duterte of coddling drug syndicates is this. If they believe what she and Dinuktor Carl Hart said that there's "no evidence" that shabu leads to violence or harms the brain then why try to accuse President Duterte of smuggling in shabu or any related dangerous drug? So what's the use of calling Callamard while accusing President Duterte of coddling drug lords? 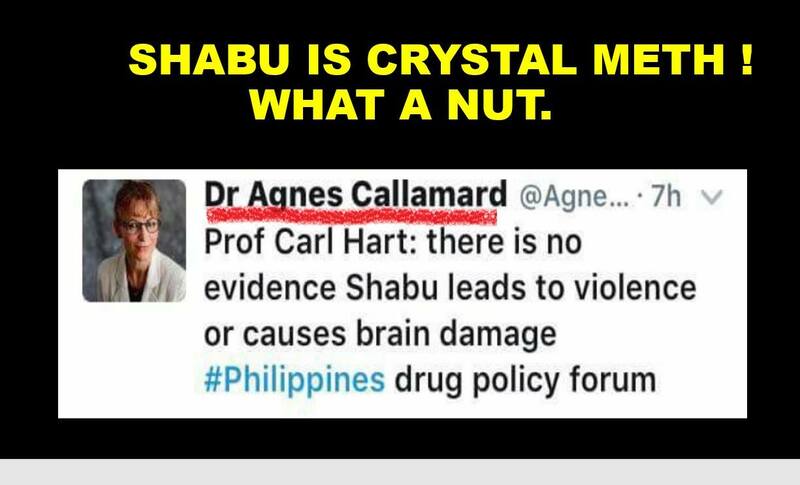 If shabu can't lead to violence or brain damage then why try to probe the whole incident where shabu entered into Davao in the first place? The same also goes for Dilemma. 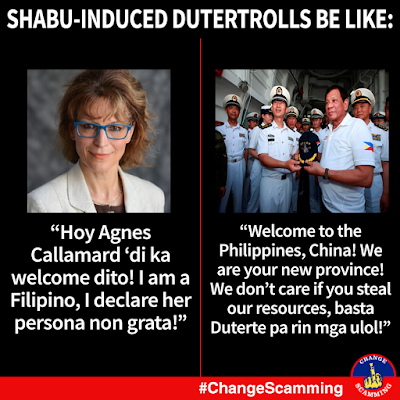 If she's really an enemy of drug lords as she claimed then why ask help from Callamard? 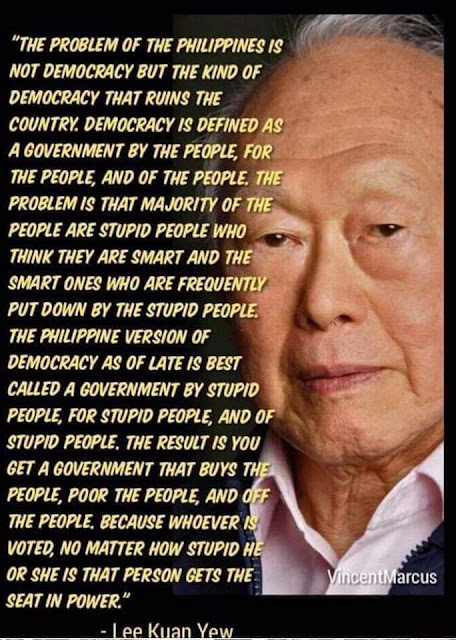 I mean, what's the use of being an enemy of drug lords if shabu doesn't lead to violence or cause brain damage? Think about how contradictory the Dilawans are with what they do right now.